The first weekly roundup is here and I am pretty excited. It does not mean we’re just starting the work on our game, but this kind of documentation is new for us. Every Monday we’re having a weekly meeting where everybody gives a short outlook on the tasks and challenges for him or her during the upcoming week. In these roundup posts we will try to collect all those things that happened during the week and post them to the world to see and for us to visually track our work. These Dev Diaries shall be regular updates of our work on Mercury Shift 3D In this week, the art department received the leveldesigns in Unity3D by the gamedesigners. The levels contain all the statics and level elements relevant for gameplay. Except for the player-models these levels are completely empty. So the artists got to work and sketched out some rough ideas on paper. Our game features stages, which contain levels. Those levels consist of three sections. 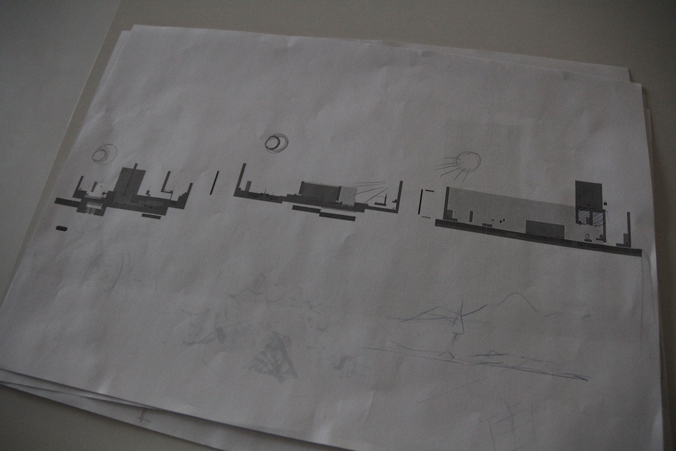 In this phase, the levels are printed out and are being worked on with traditional media. It proved to work pretty well and the process is sped up opposed to digital concept-art. Everybody involved in the artworks for the levels is part of this progress, which assures a consistent vision. 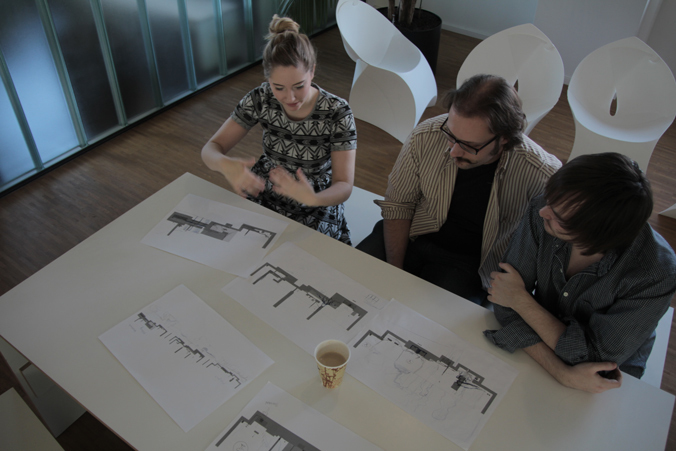 These are our mighty fine artists (Elena, Niko and Simon) at work. And here is one of the sections separately. The scribbling is a pretty fast progress and helps developing ideas visually, which is quite important. In the past we stuck to written descriptions, but visual communication works way better for us. Apart from the planning, some actual work was done. Niko took the exported 3D heightmaps and painted some terrain on it. 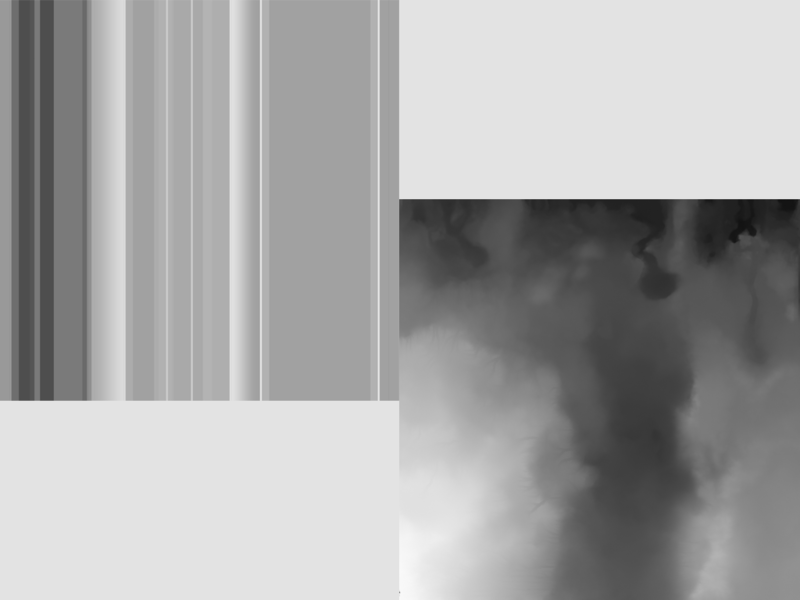 Left in the picture is a height profile of the level, on the right you can see the resulting heightmap. And this is what it looks like right now with a bit more interesting terrain and a forest yet to come. 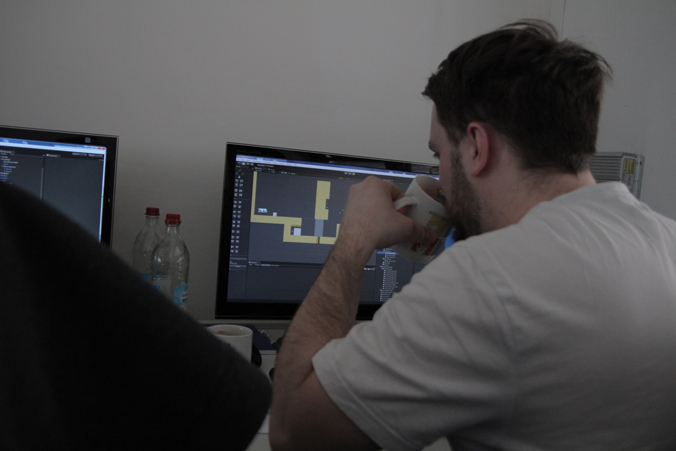 Simon is also working on placing the assets in the level. 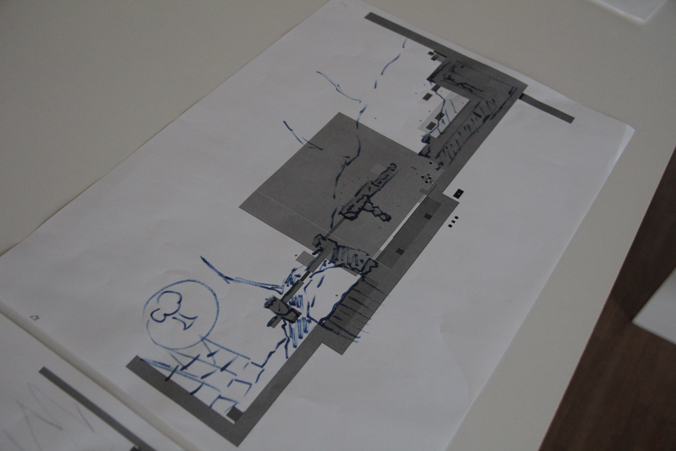 Sometimes problems are encountered, such as strange topology or minor changes to the leveldesign. He also worked on the shaders and particles. In this image, you can see a fountain, a geyser even, which propels a platform out of the water at high speed. More good news for Nora even: UnityTechnologies fixed a bug that kept bugging her when blending animations, causing unwanted movement. Although it look quirky, she is happy it is now patched into oblivion. Another feature for the singleplayer is a new “throw”. 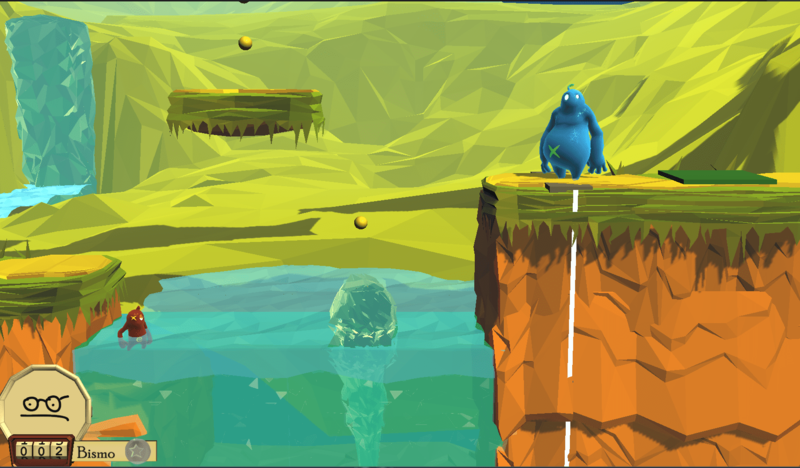 If the player gets thrown at high places, he does not only fly in a straight vector to the top, but he performs a tiny little parable. The singleplayer gameplay gets a bit easier with that, as less action by the player is required now. Not that less action is good, but at this point the action was quite fumbly. Not that too much can be drawn from this screenshot, but we are hoping for some transfer of learning in these levels. We’ll see how the first playtests turn out. Matt and Oliver have been working on a different “Swap” mechanic for a while now. This function is essential for the singleplayer, but it was hard to coordinate on the controller. Being way too fumbly and not easy, we now think we found a reasonable fix for that problem. Same thing here: Playtests will show. Luckily we are having two people over on Tuesday next week. Jeebus. That was just one week, not including the usual overhead and stuff Oliver and I had to get by. It is great to see the amount of work that was done during a single week. This entry was posted in Devblog, News and tagged Dev Diary, DevDiary, platformer, unity3d. Bookmark the permalink.